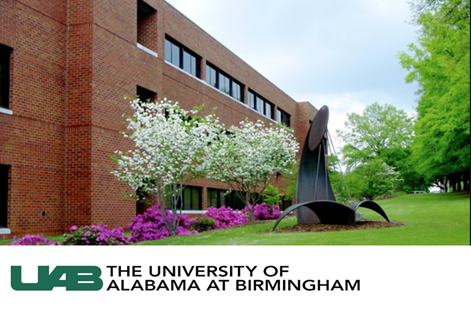 The AAIE Conference will be held April 11th from 8:30 AM to 4:30PM in Birmingham, Alabama on the campus of Birmingham-Southern College. The fee for the one day conference is $60, which includes annual membership dues and a light breakfast and lunch. The deadline for early registration is March 22, 2019. After March 22, the registration fee will be $75. EXTENDED! The deadline for the $60 early bird registration is Monday, April 8, 2019. After April 8, the registration fee will be $75. Birmingham-Southern College invites all attendees to a reception from 4:15 pm to 6:15 pm. This social event allows is a chance to relax and catch up with international education colleagues. Let the traffic die down and enjoy some happy hours refreshments before heading home. This rate is a half-day rate which includes attendance of the afternoon sessions (approximately 1:30 pm - 4:15 pm) of the AAIE conference and afternoon coffee break. This rate is only available to students who are enrolled at an institution of higher learning and who will attend the second half of the conference, beginning at 2 pm. If a student wishes to attend the full day conference, which includes breakfast and lunch, they should register for the full day conference and pay the full conference rate. CONFERENCE PROGRAM - Coming in late March! Alabama is fortunate to have many talented professionals. Share your voice and expertise in a Conference Session. Topic ideas in link. Deadline for Proposal Submission: March 1, 2019. Our generous sponsors and vendors make it possible to elevate the whole conference, keep costs low and offer free registration to colleagues who might now otherwise be able to attend. We are deeply grateful for all who have participated in the past and look forward to great conference in 2019! DEADLINE: Registrations are due by Monday, October 15, 2018. This one-day workshop will offer three blocks with two options for each block. You will be asked to select a session for each block in the registration form. To register, complete and submit this form. Payment instructions will be sent in the confirmation email. We want to thank everyone for making the 2018 Alabama Association of International Educators Conference a great success last week. 117 International Education professionals attended the one-day conference on Thursday, April 12, 2018 on the UA Campus. During the day, there were 23 session presentations, which covered the spectrum of International Education - Enrolment Management, Education Abroad, Leadership, and International Student and Scholar Services. You can access the session materials and handouts here: AAIE 2018 Conference Materials and Handouts. For those who attended, we ask that you please complete a brief evaluation online. Your comments and input will enable us to better plan and execute future conferences. Please take just a few minutes to complete the AAIE 2018 Satisfaction Survey. The formal creation of the Communications Coordinator position. You can now access the updated Constitution in the Documents Section of the Site and here: AAIE Constitution. You can access the full minutes from the AAIE 2018 Business Lunch, including updates on finances and proposed constitutional amendments here: AAIE 2018 Minutes. We sincerely thank each of our amazing sponsors for supporting the association and our membership. Without our sponsors’ generous support, there is no way we would be able to put on such an impressive professional conference. Armstrong Law, International Student Insurance, Global Credential Evaluators, Study Alabama, Regions Bank, AIFS Study Abroad, Lisano International, The Japan America Society of Alabama, and UA Testing Services. If you would like to be added to the AAIE Listserv, please send an email to LISTSERV@LISTSERV.UA.EDU. The subject line of your email message should read: SUBSCRIBE AAIE, and the body of your message should be blank except for SUBSCRIBE AAIE. Once subscribed you can post to the list by sending a message to AAIE@LISTSERV.UA.EDU. Also, if you wish to add your name to the AAIE Membership List or update your information, you can submit that here: http://goo.gl/forms/baUYj4TZz9. If you have any difficulties getting signed up, please contact Sarah Stevens at sstevens2@una.edu.